If I’m honest, I find it really hard to read a long report unless I’ve got a particular question to answer. And if I’m really, really honest, sometimes I forget to do my pre-reading the night before a workshop. 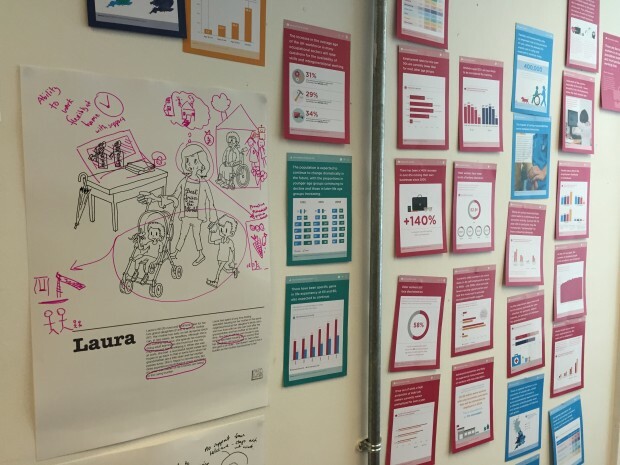 So when Uscreates got people to go on an ‘evidence safari’ to explore evidence from Policy Lab’s health and work project, I thought “we should do more of that”! "What on earth is an evidence safari?” you might ask. Its not half as exotic as it sounds. You pretty much remain in a workshop room. But rather than listening to long PowerPoint presentations, you get up on your feet and in groups move round the room spending a short amount of time digesting – and discussing – different groups of evidence attached to the walls. Every five minutes the whistle blows (or I try to shout loudly) and you move on to the next evidence ‘station’. It means you really engage with and interrogate the evidence, and apply it to the problem in hand. The best thing about an evidence safari is you can do it in many different ways. You can do it with huge amounts of evidence. The Government Office for Science had worked with academics for over a year collecting together 200,000 words of evidence for what an ageing population in 2040 might look and feel like. 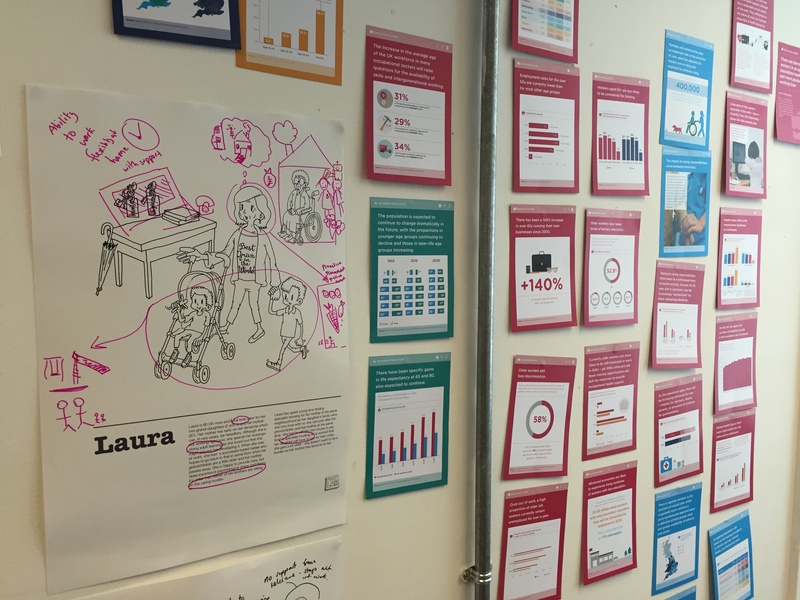 No busy civil servant would ever have time to read the whole report, so we broke it down into bite-sized chunks and commissioned Data Design to create infographic style cards that people could pick and mix. 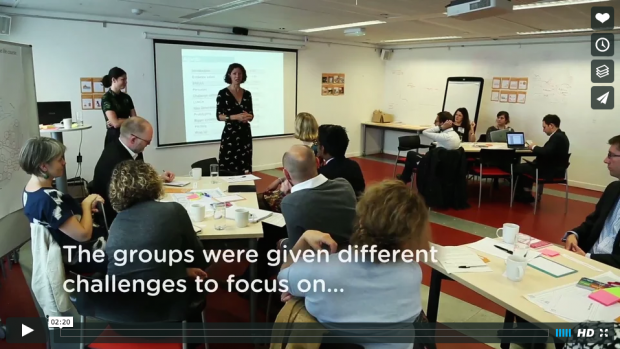 They’ve also made this video showing how this activity fits into a wider idea generation workshop. You can do it with no pre-prepared evidence at all! We like to open up our workshops to people with different perspectives. Everyone will have their own evidence they refer to, as well as their own tacit knowledge from developing policy, delivering public services, or experiencing them. So in this case, you can spend some time creating the safari from scratch, asking everyone to write down their top 3 or 4 bits of knowledge and grouping them on the walls. A pop-up safari! You can use different sorts of knowledge. Data can be in graphs and charts. But data can be visual too. We will often go on a different safari – a service safari where you go an experience the service yourself (a bit like mystery shopping) and observe how it looks and feels. For example, trying to find somewhere warm to spend the day if you are a rough sleeper, or taking a train journey for our new Future of Rail project. We’ll take photos and document our experiences, and bring these into our knowledge safari. We’re very lucky to have a film ethnographer working in Policy Lab, and looking forward to doing a short film safari! And you can give groups different sorts of questions, or ‘things to hunt for’ to continue the metaphor. For example, you could ask groups to hunt for things that are specific to the topic, e.g. ‘things that will encourage people to travel by train’ or ‘things that will discourage people to travel by train’. Or you could set some more generic questions, e.g. ‘things that you agree with/don’t agree with/make sense/are surprising’. Or you could give people a persona and ask them to pick out information that is relevant to them e.g. Laura is 42 and commutes from Oxford to London after dropping her daughter at nursery. Or you could set groups challenges, e.g. ‘how can we manage peak rail demand?’ ‘how can we use rail to support economic growth?’. Or [insert your own!]…. These safaris can work in anyway you want them to. 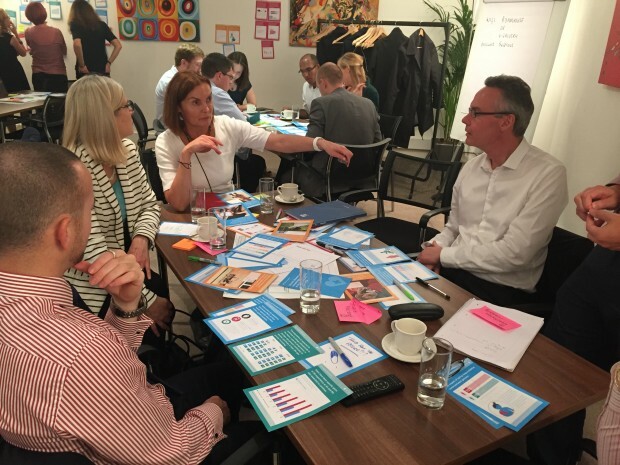 They can be meticulously prepared and replicable like our GO-Science workshops, or they can be much more low-fi and pop-up like our workshops for BIS on the digital economy. They can be used at the diagnosis stage to understand the evidence and identify gaps for further research, or they can be used at the development stage to collect together relevant evidence from which to generate ideas. The important thing is to make sure that the way you group your evidence on the walls is different to the questions you give each group to look for. Otherwise each group will only be interested in one evidence station. Try it yourself and let us know how you get on so we can keep adding to the different permutations of a really engaging way to discover evidence.